Home > News & Evens > Why Consider Metal Casting for Your Volume Manufacturing? Both CNC machining and metal casting (pressure die casting china) are available for processing your volume production. While CNC machining can go away anytime soon and has certain advantages, there are still many prevails for pressure die casting. 1. Geometry: the complicated internal cavities can’t be created out by CNC machining directly. 2. Speed: the production efficiency of metal casting is high. Especially for the complex, large part. 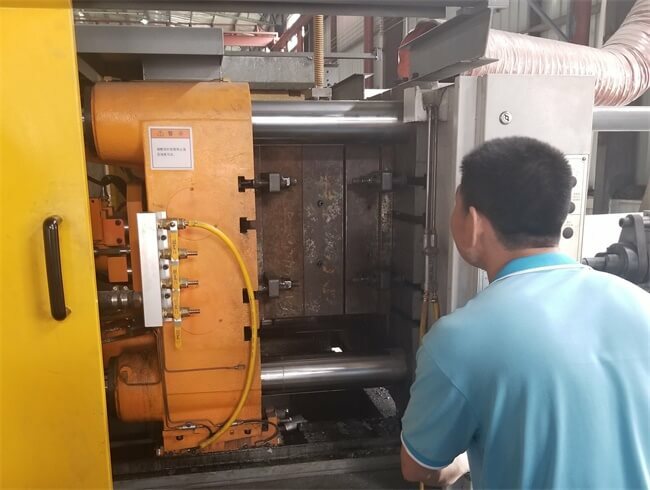 Pressure die casting process might just take 1 minute, which machining can take minutes to several hours. 3. Economics: for volume up to 100 parts, the cost by pressure die casting is competitive. The larger volume you have, the better price you get. The investment of mold building cost can be averaged to each part. The cost for volume CNC machining is huge as it takes long machining hours. 4. Surface texture: some very tiny or small features are not easy to machine out by CNC directly, or these specific texture needs to be cut step to step slowly. So it might be more efficient to invest a mold for casting. Actually, these 2 processes work very closed. We need to combine with the part structure and volume quantities to select the best method. TEAM Rapid offers both CNC machining and Pressure Die Casting Services to meet your demands. Are you working on your new volume manufacturing project? Contact us at sales@teamrapidtooling.com today and get a free quote. How to Avoid Voids and Bubbles in Injection Molding?